Paris is the most romantic and cliched of all the world’s travel destinations. People dream of its art, cafes, history, food, gardens, style and endless historical and cultural icons. Its poetic name is even the City of Lights. These are big boots to fill. And, to its credit, Paris often lives up the mythos. Paris is also a living, breathing, heaving world city. Every day some 12 million residents mill around its various arrondissements. Among them is a daily load of 90,000-odd tourists. So behind the fairytale, Paris is still a very big, extremely busy and globally important city. The touchstones of its glamour obscure a place that’s always rebuilding itself, innovating, changing and thriving. How do you find this “ living Paris” behind the wall of tour buses at the Eiffel Tower? Where is it when you’re stranded on the Arc De Triomphe in the middle of the biggest roundabout you’ve ever seen? What does real Paris look like, you may wonder, while crammed into a large room in the Louvre to look at a small, old painting of some Italian woman named Mona? This blog, written with the advice of NM, a fashionable young thing, strong with seven years of harbouring the trendiest and up-coming spots of Paris, shares with us her hot tips and must-eats. Q: Where are the good but less well-known areas to stay in Paris? Q: What are some places you personally recommend for a meal or snack? Q: Where can you go for true Parisian food – not the usual tourist stuff? Q: What are the best shopping areas in Paris in your experience? Grands Boulevards – This is a whole neighbourhood of old-world glamour. Good for big fashion chains like Zara, Mango and Promod. Rue du nil – A tiny cobblestoned street that couldn’t be farther from its world’s-longest-river namesake. Super trendy for fresh food and great wine. 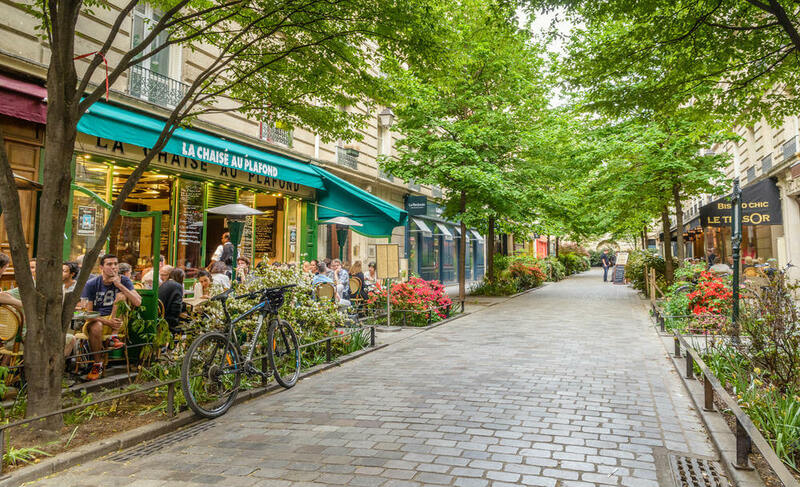 Le Marais – Very close to the cool Saint Paul area, this is where you go to find indie shops, art galleries, crafts and designers’ studios. Rue du Commerce – The name literally translates to Shopping Street. And that’s what you do in this 15th Arrondissement locale. It offers a little bit of everything. Q: One or two lesser-known areas of Paris that are good to explore without a plan. Batignolles – An area of the 17the Arrondissement, a young place with new urban developments. Q: What are the big tourist traps you’d skip? NM: Everyone seems to come to Paris to tick a few things off a list. But because there is so many tourists also doing the same thing you’ll find that the Champs Élysée is just too busy. As for going up the Eiffel Tower, honestly it’s better to look at it than to be in it. Go to the restaurant at the top of Tour Montparnasse instead. That way you get a high-level that includes the Eiffel Tower.